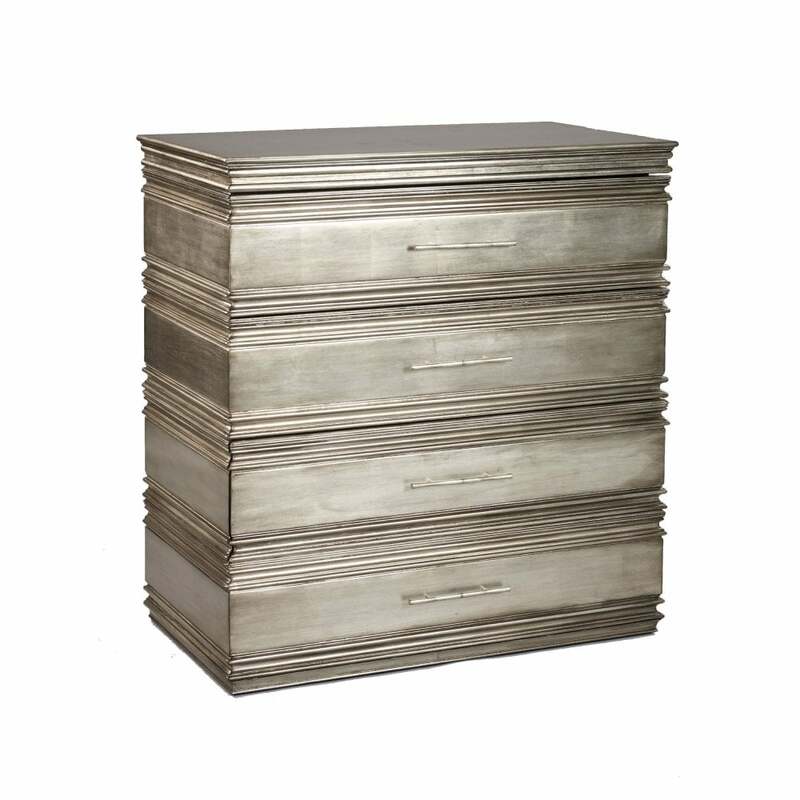 A beautifully crafted, silver lacquer effect chest of drawers from the Burnished collection by Robert Langford. Intricate embellishment combines with a statement silver finish for an elegantly aged affect. Linear ridges are a signature design feature of the Burnished collection and adorn the chest of drawers, highlighting its symmetrical beauty. The subtle styling of the four drawers is practically scaled, making this a versatile storage option. A combination of practical glamour, the Anwar chest of drawers can be styled with other pieces form the Burnished range for a complementary, stylish look.